I have stopped counting how many Cooperative Baptist Fellowship General Assembly meetings I have attended. I always come away having enjoyed the fellowship with friends, former students, and colleagues; however, I sometimes have left asking myself, “What did we really accomplish here?” Not this year. The meeting in Greensboro, North Carolina, affirmed that CBF is making progress in many ways. I was particularly impressed by three things this year—the affirmation of women in ministry, the presence of young adults, and the balanced leadership between laity and clergy. First, the overwhelming attendance at the Baptist Women in Ministry meeting at First Baptist Church, Greensboro, on Wednesday night was a testimony to the leadership of executive coordinator Pam Durso and the persistence of the “founding mothers” of the organization. BWIM has continued to champion the role of women in all ministry roles. We now see more ordained women and more women in “senior pastor” roles. We also now have Suzii Paynter, a lay person from Texas, as the new Executive Coordinator of the Cooperative Baptist Fellowship. We must realize, however, that we still have a long way to go in freeing women to exercise their gifts in the churches. A speaker at one meeting warned that many of the women who are now being called as pastors may find themselves in smaller congregations with limited resources and dysfunctional systems. Although men have struggled to provide effective leadership in similar situations in the past, the failure of women to succeed in such circumstances may well be seen as a consequence of their gender rather than the extenuating circumstances. Second, the number of young adults—both women and men--attending the General Assembly is a healthy sign for the future of the Fellowship. Young adults in leadership roles, the seminaries working to get their alumni and current students to the meetings, and the Collegiate Sessions emphasis early in the week have all contributed to this attendance. The challenge will be for the Fellowship to address the issues that younger constituents bring to the table. Failure to do so will lead to disillusionment and disengagement. 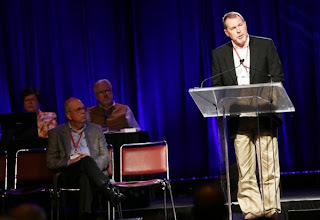 Finally, the presence of Keith Herron, outgoing CBF moderator, and Bill McConnell, incoming moderator, on the platform at business session was a good example of the way that Baptists should operate. Herron, pastor of Holmeswood Baptist Church in Kansas City, Missouri, has been a committed, calm, and faithful presence during a time of transition in the Fellowship. He represents the clergy at its best and has provided the same type of leadership to CBF that he gives to his church. I have worshipped with the Holmeswood congregation and felt the strength of his leadership there. McConnell, a lay member of Central Baptist Church Bearden in Knoxville, Tennessee, is a smart, responsible layman who loves the church and has served it faithfully over the years. He has stated and believes that the church is the foundation of all that CBF does. I know Bill from working alongside him as he served on the coordinating council of the Tennessee CBF. I have sat at table with him as he prayed both for his local church and CBF. He represents the best of lay leadership in our tribe. Baptists move forward when we have the kind of committed leaders—ordained and lay—who will work together, loving and respecting each other. If either seeks to dominate, the situation quickly becomes unhealthy. The example of Herron and McConnell should encourage all of us in the Fellowship family. What I observed in my limited contacts in Greensboro encourage me about the future of Fellowship Baptists, and our willingness to work and serve together. Much remains to be done, but we are moving in the right direction. The whole idea of the missional church—being the people of a sending God—is a popular concept among many believers today, but how is it actually being practiced? I recently received a newsletter from friends who live in an Asian country. This family has immersed themselves in the local culture in order to share their Christian faith. They embody a missional approach to Christian witness. Although I cannot give specifics of where they serve, I would like to paraphrase some of the initiatives they have pursued in this setting. First, they call out indigenous leadership. Those who have been raised in the culture are the most effective missionaries in that culture. Recently, my friends have partnered with a seminary in the country to provide internships for students. They are mentoring these young people to become Christian witnesses and leaders. Second, they recognize that “foreigners” (such as themselves) can be catalysts, but they should work themselves out of a job. They practice the principle “Model, Assist, Watch, and Leave.” Again, those who are naturally part of the culture learn how to be witnesses in their context and then become the primary agents of evangelism there. Third, they believe in multiplying disciples. Those who have become believers lead others to Christ and nurture them in the Christian faith. Fourth, they seek ways to contextualize the gospel without compromising the Christian message. This is an ongoing challenge. They point out that one group of indigenous believers has published a book with Bible stories that have been translated and illustrated in a way that communicates to the local culture. This makes the gospel more accessible to unbelievers. Fifth, they are seeking to develop sustainable leaders. They are helping leaders learn skills and start small businesses so that they can be financially independent. This assures long term involvement and witness in a local community without external support. If there is one theme that runs through these initiatives that theme would be investing in people. The missional church is not dependent on buildings, budgets, or organizations, although all of these can play a role in sharing the gospel. If all of the infrastructure disappeared tomorrow in the country where my friends live, the people would still be there carrying out the work of a missionary God. So how does this apply to those of us who lead the church in North America? If you are a believer, you have probably had a family member or friend approach you and say, “Please pray for me.” What is your response when someone asks this? Why you? What exactly do they expect you to pray for? What is your approach to prayer or your practice of prayer? These words of Jesus emphasize that prayer is not only how we communicate with God, but how God communicates with us. The prayer of the believer may include adoration, confession, thanksgiving, and supplication (both intercession and petition), but it essential that there be time to listen to what God is saying. If we are not careful, prayer can become an empty ritual or a habit without purpose composed of trite phrases and meaningless words. Over the last several years, I have been exposed to several different approaches to prayer—praying the scriptures (Lectio Divina), centering prayer, and the breath prayer. Each has given me a new perspective on prayer. There is nothing new about these practices; they come down to us from earlier believers who sought a more vibrant, powerful relationship with God in prayer. Each calls us to focus on God and to listen for the voice of God. The primary thing that I have learned from these practices is that I must make space for God in my life. Certainly God walks beside us daily, but we can only hear his voice when we listen. One of the most important gifts that I can give to another person is my presence and full attention. We show love by giving our attention to the one we love, unhindered by distractions. The same is true in our relationship with God. · How often am I engaging in direct, honest conversation with God? 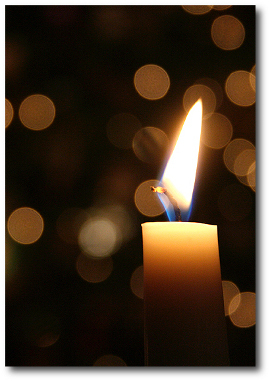 · Am I allowing listening time in my prayers so that God can speak to me? · Am I willing to hear God’s answer? 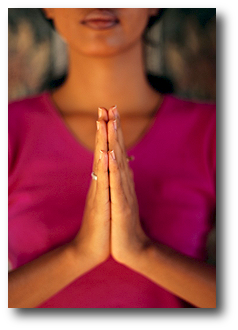 · How can I structure my day to improve my practice of prayer? Life coaching has become very popular as a personal development process in the last two decades, but coaching is still an unregulated profession. Anyone can print up business cards proclaiming that he or she is a life coach without any specific training, certification, or licensure. 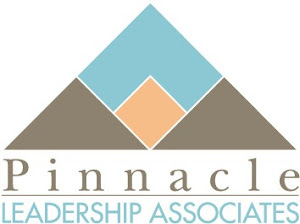 When Mark Tidsworth asked me to join Pinnacle Leadership Associates as a coach four years ago, he did so based on my background and experience in working with young adults, church leaders, and campus ministers over three decades of ministry. During that time, I called out, encouraged, and empowered men and women to follow God’s leadership in their lives. As I think back, I was practicing coaching with all of these individuals without any particular training in the process. As I started my work with Pinnacle, I was smart enough to realize that there was a lot about coaching that I did not know. 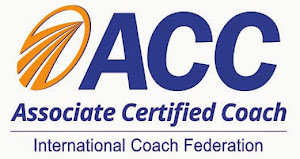 I set a goal to receive the basic coaching certification—Associate Certified Coach--from the International Coach Federation, a global organization of over 20,000 professional personal and business coaches that offers an internationally recognized coach credentialing program. 10 hours of work with a qualified Mentor Coach (completed with the incredibly supportive Michael Pfau), reference letters from two qualified coaches (Gary Wood and Michael), and the evaluation of a recorded coaching session by an ICF coach (which showed that I still have a lot to learn). Well, I finally made it. Last Monday I received word that I had passed all the requirements and am certified as an Associate Certified Coach until December 31, 2016. Yes, I will have to complete additional training and receive mentor coaching to be re-certified at that point! I am grateful to instructors Christopher McCluskey, Gary Wood, Michael Pfau, Jory Fisher, and the late Judy Santos as well as all of my Institute for Life Coach Training and Professional Christian Coaching Institute classmates for their part in helping me achieve this goal. Their encouragement, feedback, and knowledge have been invaluable in this journey. Will the certification make me a better coach? It probably will not, but the training and actual coaching I have completed over the past four years certainly have increased both my ability and my confidence. In The 7 Habits of Highly Effective People, Stephen Covey points out the importance of taking the time to “sharpen your ax.” Stopping to sharpen one’s ax means taking time away from chopping wood, but a sharp ax works a lot better than a dull one. The process of becoming a certified life coach has sharpened my ax, and I want to make sure it never becomes dull. “You’re not my boss!” In recent years, this has been a favorite response from children who don’t want to do what they have been directed to do. This is a cry for freedom from unwanted or unpleasant direction. Of course, this response fails to recognize that the person giving the direction probably is that child’s “boss”—a parent or teacher, for example. As an adult, I have never seen “boss” as a negative term. I have sometimes used it as an expression of respect and even affection. Sometimes it is nice to know who is in charge and who will take ultimate responsibility for a decision, thus giving some structure and order in often chaotic circumstances. I will grant that some people are habitually more bosses than leaders. They are more concerned about the bottom line or “nickels and noses” than they are about the empowerment of their colleagues or subordinates. They can become “bossy” with little regard about how this comes across to others. On the other hand, we expect “leaders” to be concerned about empowerment, casting a vision, and making everyone feel involved as the organization moves into a better future. This is not always the case. 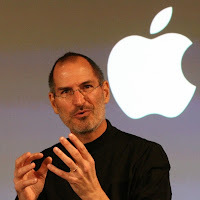 For example, was Steve Jobs a “boss” or a “leader”? One’s response probably depends on that individual’s perspective and personal experience with the man. To some, he was “bossy”—irrational, unpredictable, mercurial, and perfectionist. To others, he was a “leader”—visionary, creative, unique, and inspiring. Perhaps it is possible for one person to be both. Sometimes, the designated leader must be arbitrary and directive, while at other times he or she can be visionary and empowering. The situation often determines which approach is best. There are times when I have needed a “boss” and others when I needed a “leader.” Often one person filled both roles. Perhaps that is the nature of leadership. Numbers don’t lie, but they don’t always tell the truth. The good news is that there are probably thousands of individuals who attend Southern Baptist churches each week who are not members, don’t think membership is important, and may never become members of a church although they will be regular attendees. For a younger generation of believers, membership is not important (despite what the American Express commercial says). They find the church they like, the one where their friends go, or where they experience spiritual growth and just attend without strings attached. The bad news is that many of the churches included in the count and, therefore, their members are no longer exclusively Southern Baptist churches or don’t embrace the denomination. There are many churches that are either dually aligned with other Baptist bodies or they allow their members to fund mission causes other than Southern Baptist. One church with which I am familiar gives over 60% of its mission money to another Baptist group by member choice. This same church has not sent a messenger to the annual Southern Baptist Convention in years. Is it a Southern Baptist church? I suppose it depends on your criteria for membership. 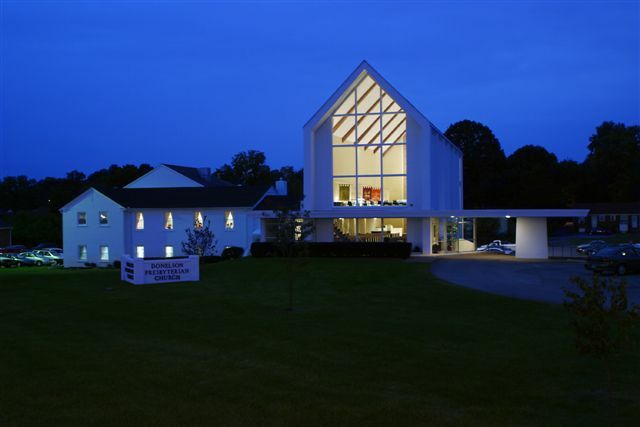 There are many other churches that are counted as Southern Baptist who no longer avail themselves of denominational services even though they still carry the name. Many have become denominations unto themselves--charting their own courses, developing partnerships with both Baptist and non-Baptist entities, and ignoring denominational entities. Of course, there are also churches that no longer call themselves “Baptist” but they are part of the SBC count. Are the members of the non-participating churches and the “shadow” Baptist churches part of the Convention? They are certainly included in the total. Again, it depends on your criteria for membership. The SBC, not matter how one counts churches and members, is not going down the drain any time soon. The report lists 6 million Sunday worshipers at more than 46,000 churches last year. Many are still committed to the denomination and its work. The trends, however, are not encouraging if one simply looks at the statistics. Perhaps it is time to evaluate the effectiveness of the churches’ ministry and the strength of partner relationships in a different way. Are there more effective ways to measure church vitality? What would we learn if we took a different perspective? What do you think?